Although Knox Jewelers is a small, family owned business it has in no way stopped us from offering our heirloom quality engagement rings to happy couples around the world. We have two showroom locations, both in Minnesota, but we work with out-of-state and global customers on a daily basis. The reach of our extensive interaction has been aided by technology and the desire to match every couple with the perfect custom created engagement ring. For example, we are able to communicate with customers in real time with the use of our Live Chat application found on our website. We also visually involve our clients in the creation of their ring by emailing them production photos taken daily by our jewelers in the studio. This way you can follow along and watch as details are added to your engagement ring or wedding band. However, the unique service we offer that truly sets us apart is our our Try Before You Buy program. This program is one of the most interesting ways we connect customers with our one-of-a-kind custom engagement rings. With the assistance of one of our knowledgeable designers, you are able to select up to three of your favorite Knox created rings to try on at home. Once you have chosen the rings you would like to view, we overnight your selected settings to you via UPS. You can try on your rings in the comfort of your home. You have forty-eight hours to view the pieces before they need to be returned to us. If you are unable to come into one of our Minnesota locations, this program offers you the chance to see our beautiful settings in person before you make any final decisions on your custom created heirloom. Your trial ring settings can be shipped to any home or work address located within the continental United States. If you are trying to keep your shopping quiet, an alternative is to have the setting delivered to a local UPS Customer Service Center for pick-up. This service does require a $100 payment for each ring, for up to three rings, to cover both the shipping and insurance on each setting. This payment is non-refundable but will be credited towards your final balance once we begin your custom engagement ring. An authorization will be processed in the amount of your selected settings and held on your card until the rings are returned. Try Before You Buy rings are shipped every Monday via UPS next day service. A signature is required upon delivery on Tuesday to receive the package. You will have forty-eight hours to view the ring setting at home. Return packaging will be provided, and the ring needs to be dropped at a UPS customer service center, drop box, or store by 5:00 PM on Thursday. If our ring setting is not returned by our agreed upon time, the held authorization will be process along with a $500 inconvenience charge. 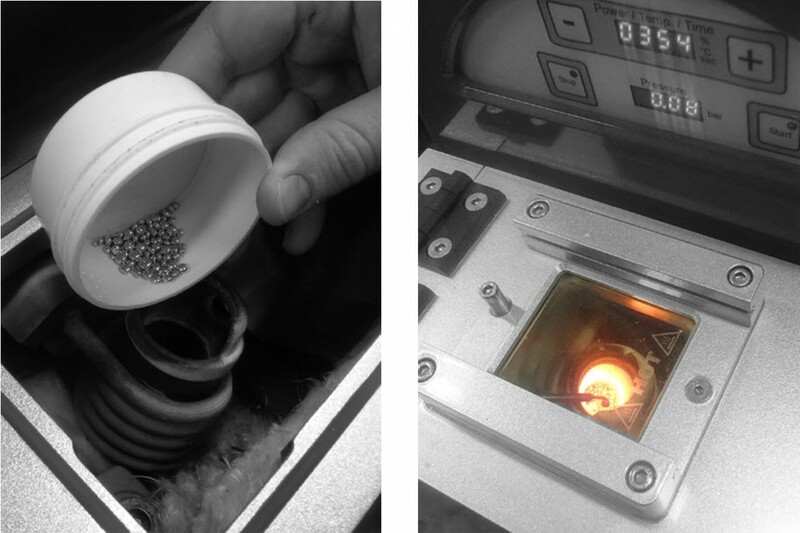 Every ring is photographed and inspected before shipping. If there is any damage to the ring while abroad, necessary repair charges will be applied. Please contact us if you have any questions regarding our Try Before You Buy program! Consider taking advantage of this one-of-a-kind tool when searching for your perfect custom engagement ring. Once you see our intricate and beautiful hand finished custom settings in person, we are sure you will be touch to start production on your very own ring. Get in touch today and begin the journey to custom creation by first viewing your favorite Knox engagement ring settings in-person, even if happen to live across the country. Sapphires have been a favored selection for engagement ring for many centuries, and up until the twentieth century more sapphires graced the fingers of the recently engaged than diamonds. In modern times the most sought after center stone is a diamond, and it has become a standard request at Knox Jewelers for an engagement ring. However, a growing percentage of couples are opting to include rich colored sapphires to their custom created rings. Throughout the ages, sapphires have come to represent faithfulness and loyalty, hence their wide use in bridal jewelry. Recent events in history have also linked sapphires to the ideals of romance and royalty. Apart from their chromatic allure, sapphire is also a practical choice for jewelry worn on a daily basis, like an engagement ring or wedding band. Corundum, the mineral name for sapphire, is ranked 9 on the Mohs Scale, and is hard enough to withstand everyday wear and tear. This being said, it is not indestructible. With our custom created engagement rings and wedding bands the possibilities are endless. Customizing your engagement ring with the inclusion of sapphires will make it a truly personalize, one-of-a-kind piece. Listed below are just some of the ways colored sapphires could be featured in your favorite ring settings. Choose a rich hued sapphire in your preferred size and shape as the central focus in any of our custom created rings. This unique center stone will offer a bold look. Add vintage character with a diamond halo design featuring a contrasting colored sapphire center. Sapphire naturally occurs in a rainbow of intense hues. Take a modern stance and select your favorite fancy colored sapphire to complete any of our custom designs. Get the best of both worlds with a custom engagement ring featuring a diamond center stone framed by dazzling sapphire accents. Contact Knox Jewelers today and let us help you select the perfect sapphires to complete the ring of your dreams. Every sapphire is unique, and we can search for any shape, size or hue you have in mind. 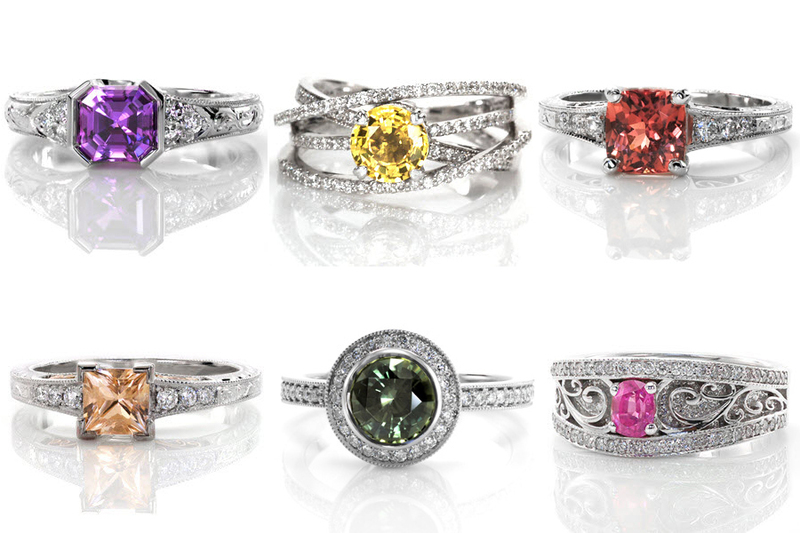 Make your custom engagement ring a truly one-of-a-kind creation with the addition of special colored gemstones. 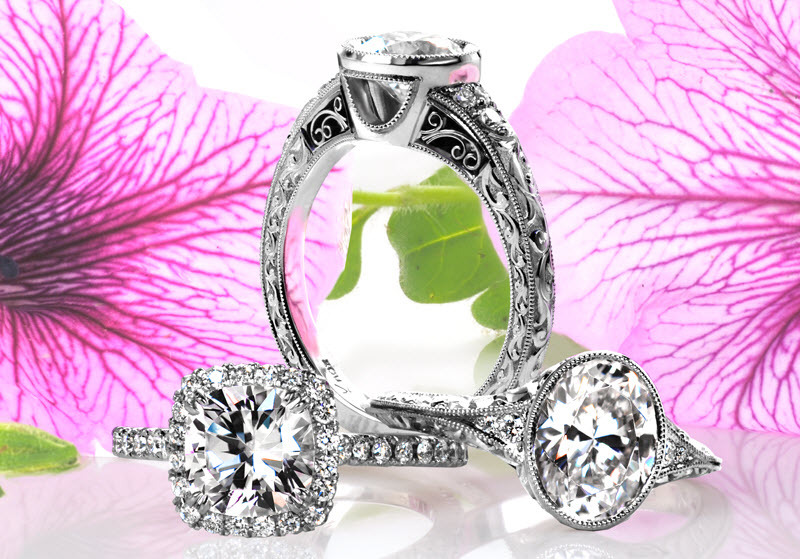 Knox Jewelers specializes in one-of-a-kind custom created engagement rings and wedding bands. Every ring commissioned through Knox is built from the ground up, starting first with a hand sketch or CAD image. Once a design is finalize in 2D, the ring will be brought to life on our 3D printer. This technology allows us to grow a 1:1 wax prototype of your design layer by layer. Once this wax model is completed, the ring will enter its final transformation into precious metal. This step in the process is called lost-wax casting, since the wax prototype is lost in the process. The model will melt away and metal will take its place. Lost wax casting is an age-old process that dates back many thousands of years. Artists and craftsmen of ancient Egypt, Mesopotamia, China, and Africa used the lost wax method of casting to produce their intricately detailed jewelry and trinkets. The oldest lost-wax cast sculpture was found in the Cave of Treasure near Israel, and has been dated back to 3700 BC. 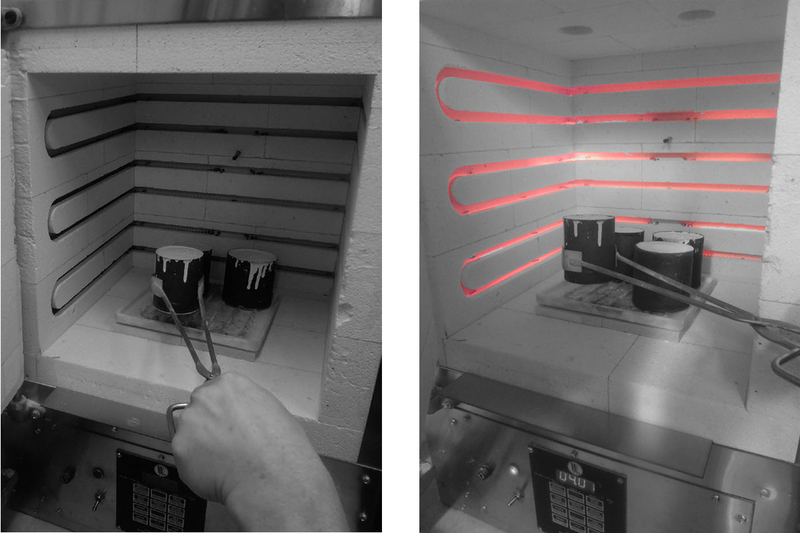 Below is a closer look at the crucial steps in Knox Jewelers’ perfected modern lost wax casting process. 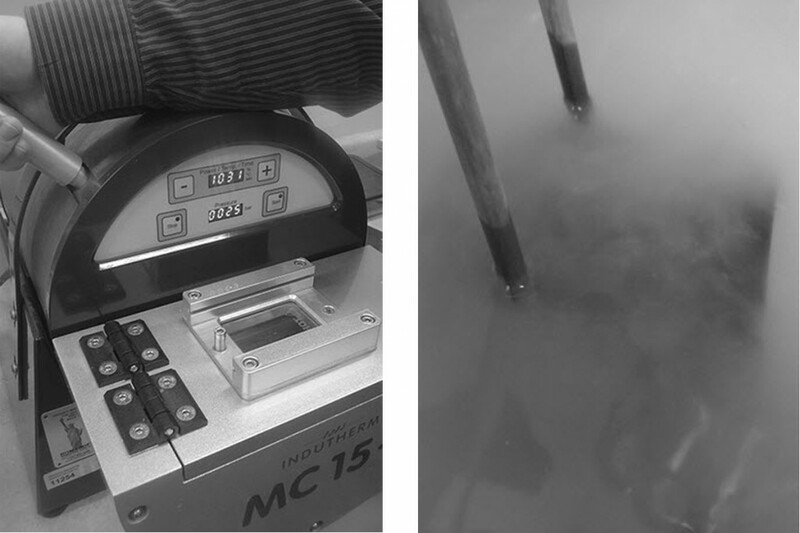 The casting process begins by measuring the proper amount of water and investment. The jeweler carefully measures each element, making sure the perfect amounts are used. If the mixture is not exact, the investment will not harden and set correctly. 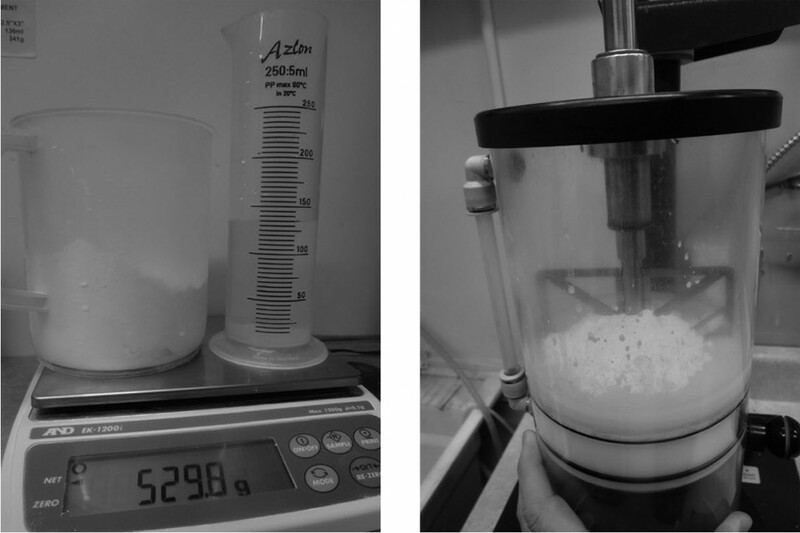 Once the investment powder and water have been added to a mixer it is very important both are mixed for a specific amount of time. This process is done under a vacuum to ensure few air bubbles enter the mixture and cause weak spots within the mold, which could further lead to breakage or inconsistencies during the casting process. 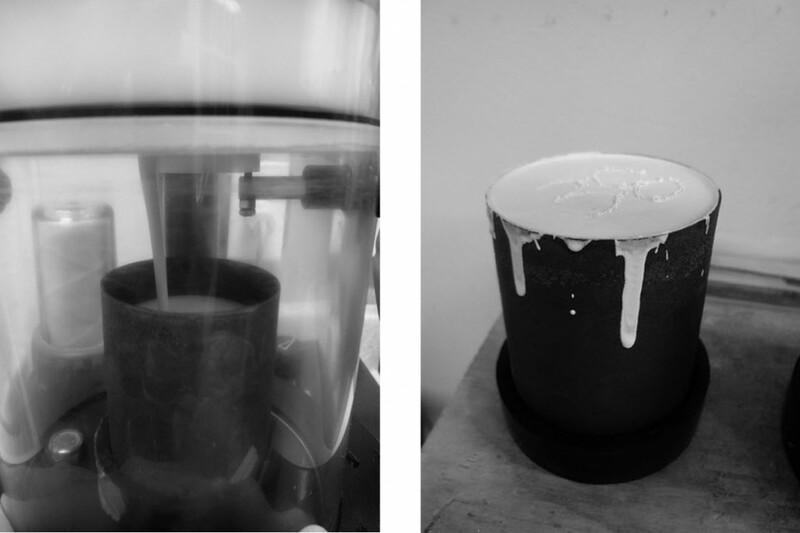 The wax prototype of your ring is placed within the flask first, then the flask is filled with the investment mixture. Once the plaster-like investment hardens overnight, the container will be placed upside-down in a kiln oven to melt the wax. Once the wax prototype has melted away it will leaves an empty mold of your ring design. The jeweler removes the hot flask from the kiln and positions it into the casting machine. The jeweler will measured out the exact amount of metal casting grain need to create your piece and pours it into the crucible. A crucible is a metal container used for heating substances at high temperatures. The metal is heated to a molten state under a vacuum sealed chamber within the casting machine. The casting machine is rotated allowing the metal will pour into the flask and fill the empty mold. The flask is then removed from the casting machine and submerged in water to cool. The cooling process breaks up the investment surrounding your ring, making it easier to retrieve the cast metal piece. At Knox Jewelers we believe that there is no shortcut to quality. Every step in our creation process is a necessary step towards obtaining an heirloom quality ring. The lost wax casting method may be time consuming, but it ensures every ring we create is one-of-a-kind, and custom tailored for her. Contact us today to get started on your custom created engagement ring or wedding band!